Hey beautiful people! 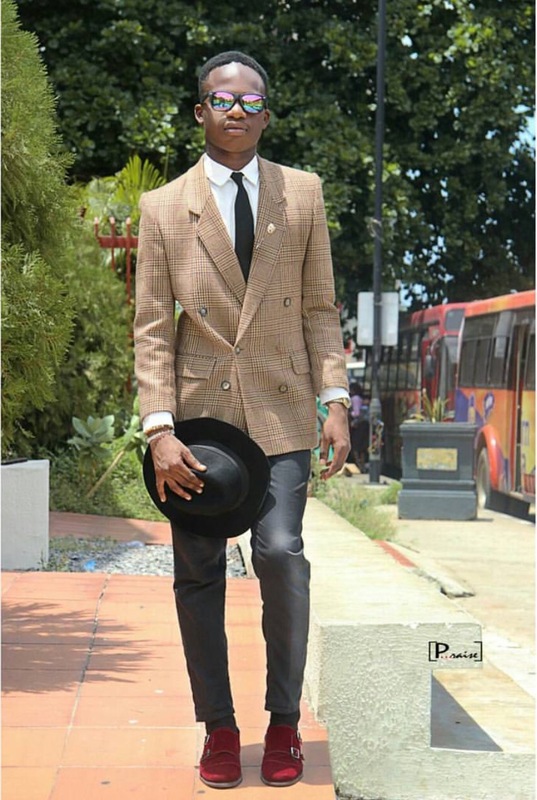 This week we have an Instagram style feature on Robert Oseme, (@osemerobert on Instagram) a 200 level Business Administration student at Covenant University! He is the Campus Heat Most Fashionable Male Fresher for the year 2016 and today we have the honour of knowing what goes on behind the magic that is his dress sense! Let’s jump right in shall we? ETP: Hey Robert! It’s great to have you here with us. Robert: It’s a pleasure to be here. ETP: What sparked your interest in fashion? Robert: When I was a kid, I had a love for flashy materials and as I grew up I properly discovered my love for colours and from there, I started experimenting & mixing them in my sense of style. ETP: How would you describe your style? Robert: I’d describe my style as something that comes out of my mood *smiles* because today I could be seen in a complete suit and the next day I could turn up in ripped jeans and a jacket – so generally I see my style as something that can’t be predicted. ETP: What was the look you were going for here and where were you going this day? Robert: Let me start from where I was going to – a sort of celebratory dinner. I was going for a well thought-out outfit with the right amount of sophistication. This outfit is certainly eye catching – where were you off to? Also, what kind of event would you advise someone else to wear this to? 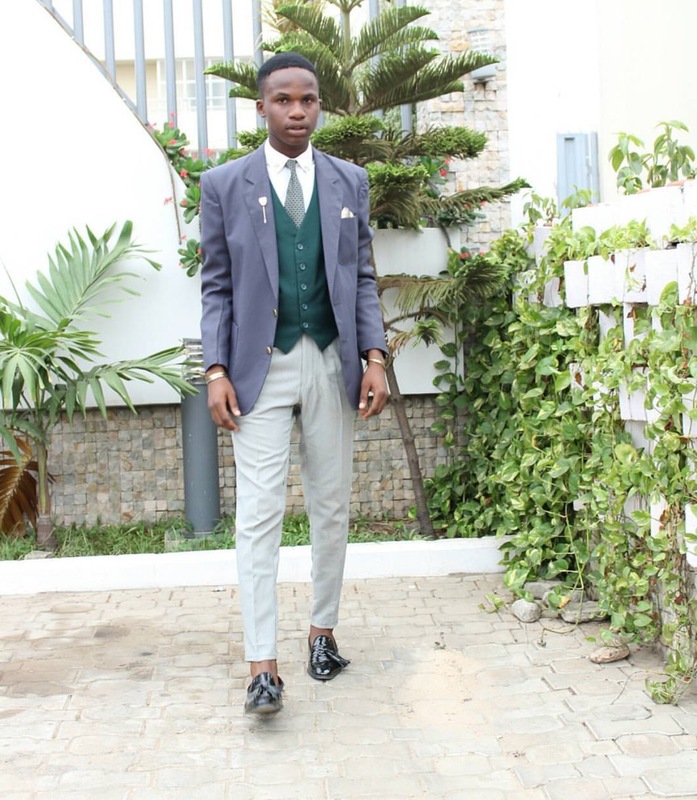 This photo was taken somewhere on Victoria Island and I went for a fashion show in Lekki with Prince K.
My advice for anyone that wants to put this on is that it should be worn to an occasion or outing that has a cool atmosphere because the blazer is made of wool – which would make you feel rather uncomfortable if worn in any other type of ambience. 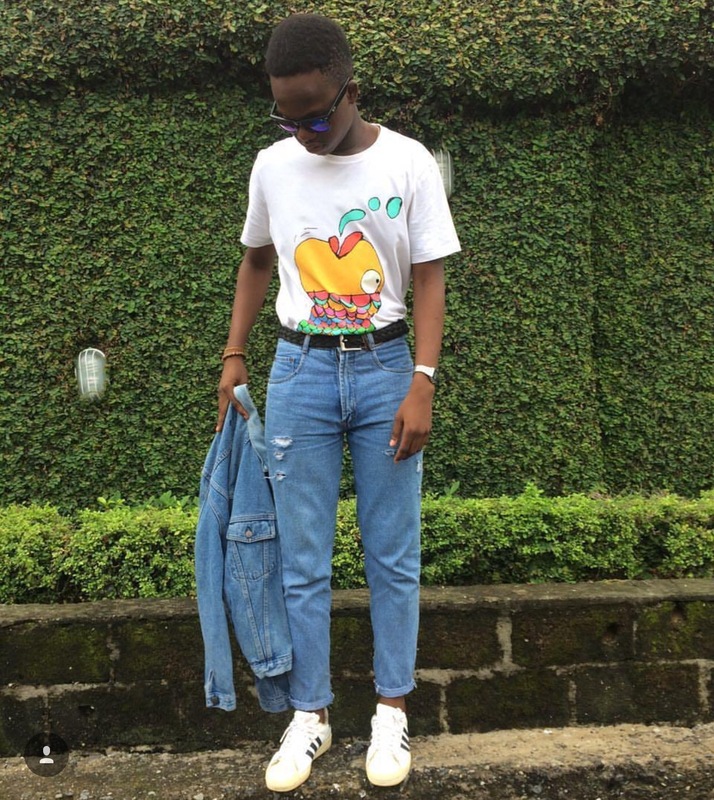 ETP: I love double denim! You pulled this off rather well if I say so as an avid fan of DD haha! Where did you get your outfit? Robert: Haha thank you thank you. I Got the denim jacket and jeans from ASOS and the top was a birthday gift from someone special to me. The shoes were also a birthday gift from my best friend. Robert: Hmm, yeah detailing matters a whole lot – it can make or break an outfit in my opinion. I think the choice depends on your outfit, like if you’re wearing something bright, a silver lapel pin will do; whereas when wearing something dark, a gold lapel pin will be better suitable. 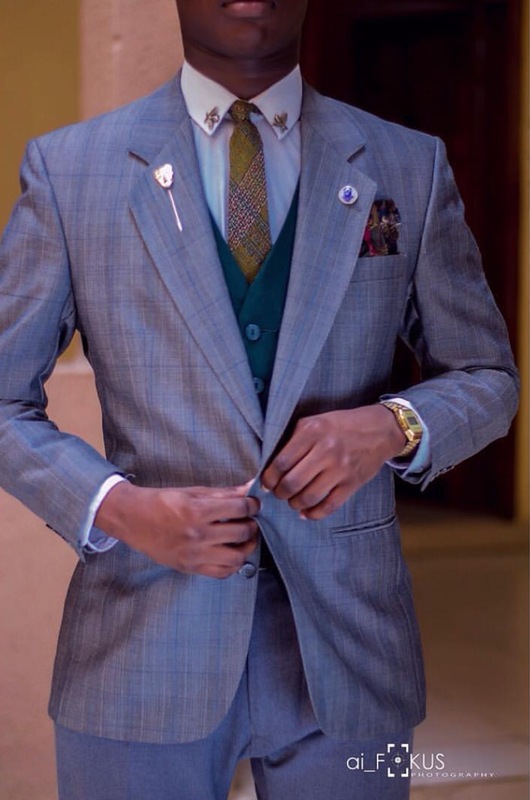 As for the pocket square, I’d say you should pick a colour that matches your outfit. ETP: Is there anything you’d like to tell your fans? Robert: Well I’d just say that focus is the key, concerning your dreams you should never give up, and you should keep trying what you know how to do best. You might not get what you want immediately, but with time you will get there. ETP: It was lovely having you here with us.